This can be a pretty interesting topic to read and to write. Since i started out with blogging, i always wished to entertain guest authors at my blog. One of the ultimate aim of a blogger could be attracting more and more guest authors to his blog, so that the blog achieves the automation level. This is where you start to get ever mouth-watering 'passive-income'. One of the 12 Obvious Reasons Why Students Should Blog was to generate a source of automated income for themselves. And that can only be achieved if you have the Guest Authors or you hire someone for the job. Guest Authors help the blog owner to be consistent with posting frequency and thus increase the traffic too. So the question lays that when is it the right time to open your blog for guest posting? To understand that, we should first note down the reasons that would attract the guest authors to a particular blog. What Attracts A Guest Author For Posting? Well, i have done Guest Posting on number of famous blogs now and i could mention what exactly goes through my mind when i look a blog for guest posting. Apart from making relationships with your fellow bloggers, the guest author gets a lot of benefit from the time he spends to write content for other blogs. I shared my experience in the post How I Increased Google Page Rank To PR 4 And Why You Couldnt that how guest posting helped me in upgrading my blog to page rank 4. Ask your self. Why would you like to Guest Blog on a particular blog? Why would you serve your precious time and skills to make content for other blog? So the same question for my self. I would like to offer my Guest Authors some value in return to their time and skills. For that, i would make sure that my blog is a high page rank blog, so that my guest authors would get a quality link back in return to their articles. Same goes for the traffic. The more it is, the better it would work to attract the Guest Authors. Personally i believe, that a blog should not be opened for guest posting before it drops its Alexa Rank below 50k mark. 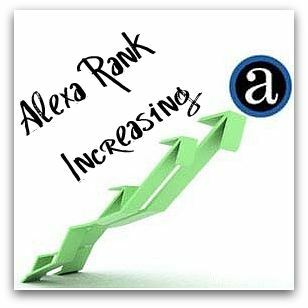 But again the traffic varies as far as the corresponding Alexa rank is concerned. A 1000 Visitors mark would do the justice to the Guest Authors to summarize the entire story. The more traffic you got, the more it would earn you loyal Guest Authors. Now What You Should Do? Simply judge your blog at this point of time. 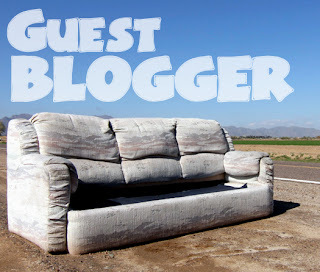 Do you think you would love to serve as a Guest Author at your 'own' blog at where it is now? Does it have high Google Page rank? So thats all. Hope you're in a better position to judge your blog and would look forward to become a Problogger in the years to come. BloggingeHow | Making Blogging Simpler: When To OPEN Your Blog For Guest Posting?